Ok, so there are a lot of people claiming that spirulina works for acne, but they haven’t tested it out for themselves. Well I have, and I’m telling you that it works! and its such a relief to have finally found something that clears up my skin. I already wrote an article on why spirulina can cure your acne problem, but in this article I’m going to provide you with my very own testimonial to the acne beating powers of spirulina. I have had acne since I was probably 16 years old. Luckily I have never had a problem with face acne, which is obviously the most visible. The acne that I have always had is on my upper back/shoulder area and the back of my neck. You may have heard this as being referred to as “backne” because its on the back. But anyway, its been so annoying. Its particularly annoying on the back of my neck because whenever I would have some bad breakouts it would hurt when I would turn my head. Its like the skin, being sensitive, would hurt and feel like its stretching too much. 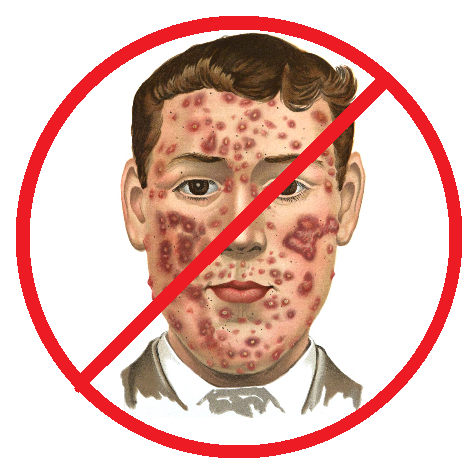 I had tried, I would say at least 50 different acne products over the years to help get rid of this annoyance. But nothing seemed to work. Scrubs, body washes, lotions, salicylic acid, benzoyl peroxide, sulfur soap, you name it, I tried a lot. I even bought some bulk salicylic acid powder and mixed that in with body washes that I had. When I thought that maybe it was because my skin was just extra dry, I started sleeping with a humidifier running every night and would wake up to condensation all over my windows. The point I’m making is that I tried a lot of different methods. I didn’t just try out one acne treatment. And when I originally started taking spirulina it had nothing to do with me trying to get rid of my acne. In fact, I didn’t even know that it would help. I got it for other health reasons and the clear skin was just an added bonus. If you are like me you will seriously start seeing a difference in less than a week. I think I began to notice changes within a few days. The hard, bad acne that feels like its about to burst started to decrease in pressure and just slowly started to heal up. When I started to notice that my skin was getting better I began to do a little research online, and it didn’t take long to find that spirulina has numerous skin benefits that might be the reason for my acne going away. I was getting excited at this point because I had pretty much given up on the hope of my acne ever going away. And now its going away! When I wasn’t even trying to get rid of it! Its a great feeling not having backne like I did. I remember I couldn’t wear some shirts due to the material they were made up irritating my acne, on my neck in particular. But now I’m better and I don’t have to worry about it. There are still times where I will get a few pimples here and there. But it is NOTHING like it used to be. I don’t have to hide my neck every day or have the annoyance day in and day out of acne pain and discomfort. How much spirulina do I take? I take a lot, probably more than most people. Normally I will take about 10 grams per day, which is about a heaping tablespoon. All I do is blend the 10 grams of spirulina in with almond milk, a little oatmeal, and frozen fruit (berries, banana, etc) and I’m good to go in the mornings. I have always taken doses of spirulina this size, so I don’t know how a smaller dose would effect the acne. But I have read reviews of people taking smaller doses like 2-3 grams per day and seeing their acne clear up. If you are looking to buy spirulina you should know that not all spirulina is created equal. The environment in which it is grown in plays a huge role in its nutritional content and the overall quality of spirulina. Spirulina has the ability to absorb toxins very easily if its grown in a toxic environment or under poor standards it is not a good idea to buy it. If you want high quality spirulina that is grown in a quality assured environment, then I suggest you take a look at some of the top products that I have reviewed below. PrevSpirulina for Bad Breath – Does it work? wow. This is really interesting. I must admit I have never heard of spirulina before but I have been on a hunt for something to help with acne. Like you, I don’t have it on my face. Instead i have it on the back of my upper arms. I swear i have tried everything under the sun from soaps to lotions to astringents and more. Nothing seems to make any difference. I would be happy with just a little improvement. I think I’m going to give spirulina a try. Hopefully it works for you too. But just keep in mind that I’m taking 10 grams a day. Some spirulina supplements are only dosed at around 2-3 grams per serving. So I don’t know how much of an effect that would have. This is very interesting. I had acne as a teenager. It wasn’t horrible but still it is no fun to have. I have never heard of spirulina and wish I had back then rather than taking prescription creams. I am going to bookmark this as I know a few people who may be interested to read it. Are there any common side effects taking this? There are testimonials of people getting fevers, constipation, diarrhea, and stomach pain. I know when I first started taking spirulina it made my stomach a little uneasy, but it wasn’t much. It went away after a week probably. Its just one of those things that people have to try for themselves. I knew about spirulina for many other things…as a food or supplement. But acne is new for me. Could you explain the mechanism by which it works? That way we could know if it would be beneficial for everyone as far as acne goes. I mean it’s still worth a try, since there are other health benefits…but it would be nice to know.